Description: 7/8" Inland Red Cedar for long lasting outdoor use. All screwed construction using weather-resistant plated deck screws. Fully routed edges. 11-3/4" hanging cable. 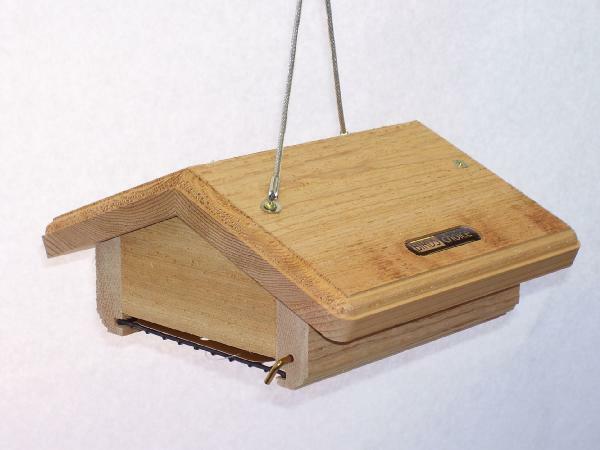 Feed only the attractive birds suet with this upside-down Suet Feeder. Deters Grackles and Starlings because they cannot hang upside down. Holds 1 suet cake.